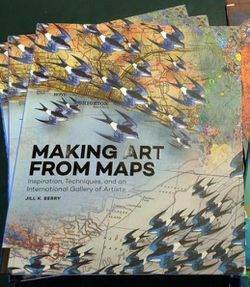 Jill Berry does it again with her newest title Making art from Maps. Inside you'll discover different ways to re-use those old, beat up maps. Everything from origami to de coup age and everything in between will be found in here. Look no further for a little inspiration!